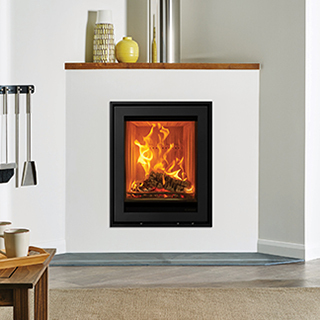 With space at a premium in many households it is no surprise to see that productS such as the Elise Glass 540T inset stove are growing in popularity. The fact that the stove is inset into your wall ensures that it takes up no floorspace yet offers the same level of heat output seen in a freestanding stove. The option to add a glass door to the standard Elise Glass 540T inset stove should not be underestimated because this allows you to enjoy the flickering flames and the burning embers even more. It is also worth noting that the Elise Glass 540T inset stove has an advanced airflow technology system which creates larger flames for you to watch. 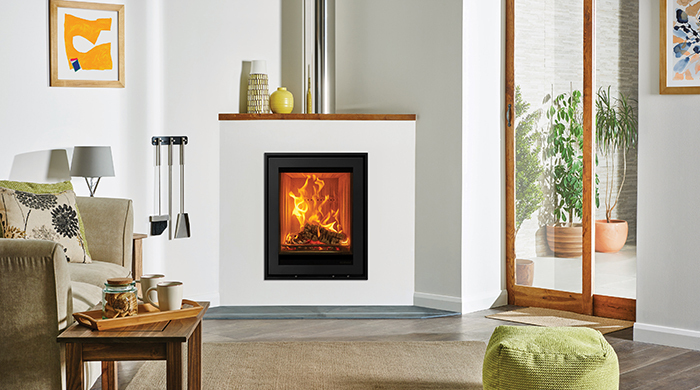 The dimensions of this Stovax inset stove are width 540 mm, height 720 mm with a depth of 350 mm and with heat output of 5 kW and an efficiency rating of 83% it literally does speak for itself. 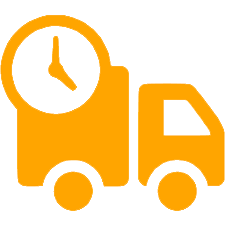 The machine can take a maximum log length of 330 mm and with a number of different facias available you can literally mix-and-match to suit the décor of your room. The 5 kW heat rating is ample for small to medium-sized rooms and the radiant/convected heat output, dynamic air wash system and easy to fit flue will ensure this particular model is very popular.